Eli McIlveen is the creator, playwright and director of Alba Salix. Eli grew up on radio drama, and has been recording strange noises since he first “borrowed” his dad’s cassette player as a kid. 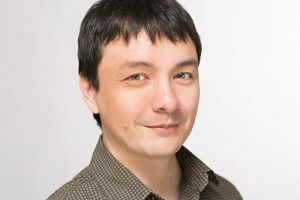 During his five‐year stint at CKMS‐FM (University of Waterloo), he was a producer, actor and occasional writer for the weekly comedy series Philler, and went on to host a weekly radio theatre showcase. Since then he’s been sound designer and operator for a raft of theatre productions in Toronto. He’s also interviews producer for Radio Drama Revival, the audio drama showcase podcast, a dialogue editor for Aural Stage Studios and 11th Hour Audio Productions, and has appeared in Jim Robbie and the Wanderers, Radiation World and What’s the Frequency? playing a variety of humans and invertebrates. 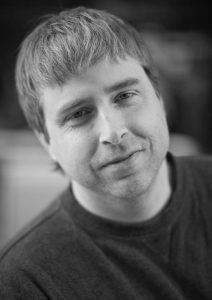 Sean Howard is the producer and co‐director of Alba Salix and The Axe & Crown, and the Game Master of The End of Time and Other Bothers. He began as a line producer on Season 1 of Alba Salix, responsible for managing the cast, setting schedules and coordinating budgets, as well as fundraising, photography and marketing. Sean is a recovering juggler, and has dabbled in theatre as both a performer and a lighting designer. He also brings his 20+ years of marketing and advertising experience to Alba Salix. He is relatively new to the audio world, but is a podcast addict of the highest order.